The companies listed below will be visiting CDS Tractor Trailer Training this month providing informational presentations about employment as local, regional, and over-the-road drivers. The following companies will be visiting CDS Training Centers. If you are interested in the possibilities of a new career as a tractor-trailer driver, CDS suggests attending a new career presentation. Join CDS Tractor Trailer Training School at the Reynold Community College – Goochland Campus on Thursday, April 25th for an Open House. The event will begin at 6:00 PM. Come and learn about your truck driver training options with CDS and Reynolds Community College. If you are unable to attend this event, you may call and schedule for an interview. CDS Tractor Trailer Training will be hosting a FREE information session at Rappahannock Community College’s Glenns Campus on Friday, April 26th. The session will begin at 12:00 am and take place in room 112. CDS staff members will be there to discuss the upcoming 2019 CDL training programs that will be taking place at RCC. 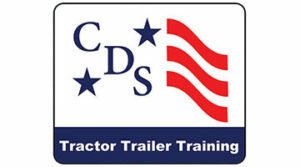 CDS Tractor Trailer Training will be providing full-time CDL training program at RCC in 2019. Our next upcoming CDL training class start will take place on May 20th. New CDL training weekend class starts will begin at all four CDL training centers; Fredericksburg, Richmond, Roanoke, and Winchester. At CDS Tractor Trailer Training, students train to become safety-conscious drivers in the trucking industry. During training, students will be able to utilize a balance of classroom instruction and hands-on and behind-the-wheel training, students will be prepared to pass both the DMV written CDL exam and skills test. New CDL training class starts will begin at all four CDL training centers; Fredericksburg, Richmond, Roanoke, and Winchester. At CDS Tractor Trailer Training, students train to become safety-conscious drivers in the trucking industry. During training, students will be able to utilize a balance of classroom instruction and hands-on and behind-the-wheel training, students will be prepared to pass both the DMV written CDL exam and skills test. Attend a free, no-obligation information session with a representative from Stevens Transport at our Fredericksburg Training Center. Learn more about our CDL training courses, receive a campus tour and hear about the many job opportunities for recent graduates. Find out how Stevens Transport and CDS are ready to jump-start your new trucking career with on-the-job training and support. Attend a free, no-obligation information session with a representative from Total Transport at our Winchester Training Center. Learn more about our CDL training courses, receive a campus tour and hear about the many job opportunities for recent graduates. Find out how Total Transport and CDS are ready to jump-start your new trucking career with on-the-job training and support. Attend a free, no-obligation information session with a representative from Total Transport at our Richmond Training Center. Learn more about our CDL training courses, receive a campus tour and hear about the many job opportunities for recent graduates. Find out how Total Transport and CDS are ready to jump-start your new trucking career with on-the-job training and support. 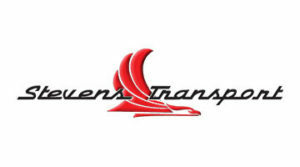 Attend a free, no-obligation information session with a representative from Stevens Transport at our Winchester Training Center. Learn more about our CDL training courses, receive a campus tour and hear about the many job opportunities for recent graduates. Find out how Stevens Transport and CDS are ready to jump-start your new trucking career with on-the-job training and support. Attend a free, no-obligation information session with a representative from Paschall Truck Lines at our Richmond Training Center. Learn more about our CDL training courses, receive a campus tour and hear about the many job opportunities for recent graduates. Find out how PTL and CDS are ready to jump-start your new trucking career with on-the-job training and support. Attend a free, no-obligation information session with a representative from Stevens Transport at our Roanoke Training Center. Learn more about our CDL training courses, receive a campus tour and hear about the many job opportunities for recent graduates. Find out how Stevens Transport and CDS are ready to jump-start your new trucking career with on-the-job training and support. Attend a free, no-obligation information session with a representative from Total Transport at our Roanoke Training Center. Learn more about our CDL training courses, receive a campus tour and hear about the many job opportunities for recent graduates. Find out how Total Transport and CDS are ready to jump-start your new trucking career with on-the-job training and support. 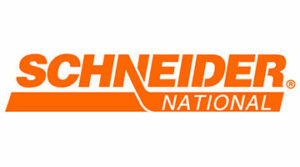 Take the opportunity to meet with CDS staff, tour the Richmond Training Center and talk with a representative from Schneider National. CDS staff will answer your questions to help you decide if a truck driving career is the right fit for you. Learn how CDS and Schneider can help make beginning a new trucking career easier by attending this recruiter event! Attend a free, no-obligation information session with a representative from Stevens Transport at our Richmond Training Center. Learn more about our CDL training courses, receive a campus tour and hear about the many job opportunities for recent graduates. Find out how Stevens Transport and CDS are ready to jump-start your new trucking career with on-the-job training and support. Wondering if a truck driving career is a good fit for you? Here’s an opportunity to meet with CDS staff, tour the Richmond Training Center and talk with a representative from Schneider National. CDS staff will answer your questions to help you decide if a truck driving career is the right fit for you. Learn how CDS and Schneider can help make beginning a new trucking career easier by attending this recruiter event! Attend a free, no-obligation information session with a representative from Melton Truck Lines at our Richmond Training Center. Learn more about our CDL training courses, receive a campus tour and hear about the many job opportunities for recent graduates. 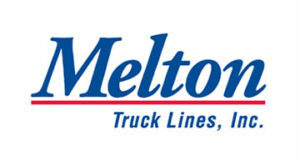 Find out how Melton and CDS are ready to jump-start your new trucking career with on-the-job training and support. Wondering if a truck driving career is a good fit for you? Here’s an opportunity to meet with CDS staff, tour the Winchester Training Center and talk with a representative from U.S. Xpress. CDS staff will answer your questions to help you decide if a truck driving career is the right fit for you. 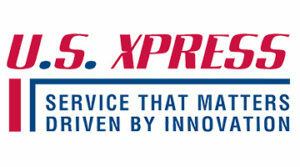 Learn how CDS and U.S. Xpress make beginning a new trucking career easier with our CDL training and support. 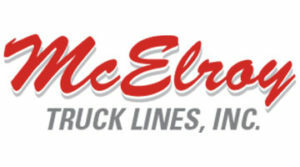 Attend a free, no-obligation information session with a representative from McElroy Truck Lines at our Richmond Training Center. Learn more about our CDL training courses, receive a campus tour and hear about the many job opportunities for recent graduates. Find out how McElroy is ready to jump-start your new trucking career with on-the-job training and support.